Eoin qualified as a physiotherapist in 1999 with a first class honours degree from the University of Brighton. He then worked at St George’s – one of London’s top teaching hospitals and spent over two years gaining broad experience across a range of specialities. At the same time he gained invaluable experience working for Crystal Palace Football club and as a squad physiotherapist for the English Amateur boxing Association. He then specialised in musculoskeletal and sports physiotherapy and was Head physiotherapist for Oxford University Rugby Football club – overseeing two seasons including international touring and the prestigious varsity match. At the same time he worked in private practice in a dynamic health and fitness club environment whilst also travelling overseas to international boxing tournaments to support elite boxers. In 2005, having begun an MSc in Advancing Practice Physiotherapy (Specialist Manipulative Physiotherapy), he returned to work in the National Health Service – at Guy’s & St. Thomas’ hospital in central London where he was appointed team leader. This return to the teaching hospital environment facilitated further development of specialist roles and ultimately led him to be appointed Clinical Lead at Central London Community Healthcare NHS Trust. Eoin held this post for six years developing the department into an award winning and nationally recognised multidisciplinary service. His clinical leadership was instrumental in developing specialist streams of care for patients in central London. He completed his MSc and graduated with a distinction from the University of Birmingham. His MSc research was awarded the Manipulation Association of Chartered Physiotherapists’ research prize in 2009. This marked the start of an interest in research and he subsequently presented this paper at international conferences and was published in a peer reviewed journal. By this time Eoin had developed a special interest in shoulder disorders and set up a range of specialist services for people with shoulder problems. These included ultrasound-guided injections and a rotator cuff strengthening class. The hallmark of all of the services that Eoin has set up is that they are grounded in the highest quality research evidence. In recognition of his growing expertise in shoulder disorders he was invited to speak at the Chartered Society of Physiotherapy annual congress in 2011 on the subject of the evidence for injections of the shoulder. He has for many years collaborated and worked closely with Dr. Jeremy Lewis – a physiotherapist with a huge international research profile and multiple published studies. Together they were successful in being awarded the Health Foundation Shine Award for innovations in healthcare. This funded a successful project to develop a specialist physiotherapy-led injection service for frozen shoulder. 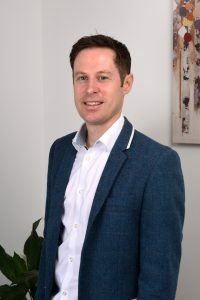 Eoin, through his unique blend of clinical experience has developed a special interest in chronic longstanding pain, complex cases and also more recently in promoting evidence-based healthcare approaches to healthcare professionals and the general public. Eoin has a strong interest in innovation. In 2007, he developed a medical device for quantifying vibration sense. He was subsequently runner-up in The Big Idea – a competition for academic innovations and also runner-up in the NHS Innovator of the Year awards (medical devices) 2008. He has since co-developed a device for treating tennis elbow and other tendon disorders which is currently undergoing clinical trial. In 2011 he was part of the team that won £5000 funding at the Grunenthal pain awards – to develop a multi-media internet resource to help patients understand chronic pain. In recognition of his innovative approaches to healthcare, Eoin was awarded Allied Health Professional of the Year, 2012 by Central London Community Healthcare. He continues to have involvement in a number of innovation projects both in the UK and Ireland. Eoin moved back to Ireland in December 2012 to set up Evidence Based Therapy centre in Galway, with Dr. Róisín Joyce who is a specialist Clinical Psychologist. They have a shared vision to develop a service which puts into practice the highest quality research evidence. This combined with their clinical expertise and an emphasis on working collaboratively with their patients can provide the best possible outcomes. In 2015, Eoin developed the shoulder masterclass – an intensive 2-day course for physiotherapists and other healthcare professionals. In this course, Eoin teaches his approach to treating shoulder pain based on the best and most up-to-date research evidence and his expertise and clinical experience in this area. You can read more about the shoulder masterclass here. Eoin has taught the shoulder masterclass in multiple locations in Ireland and Europe. He has also developed a one day study day on Frozen Shoulder and regularly teaches and lectures at conferences and scientific meetings. 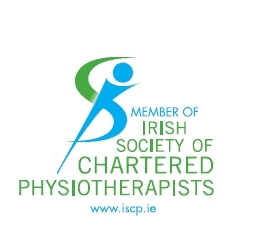 Eoin is a committee member of the Irish Shoulder & Elbow Rehabilitation Society and the Irish national delegate for the European Society of Shoulder & Elbow Rehabilitation. Eoin places a strong emphasis on carrying out a thorough assessment and comprehensively identifying all of the factors impacting on the pain or injury. He then takes time to carefully explain his findings and discuss the treatment options and agree a plan tailored to your needs and goals that will help get you better. He also likes to make exercises interesting and fun where possible. Eoin can offer appointments between 9.30am and 5pm – Monday, Tuesday, Wednesday & Friday.